The level gauge type 808 is special designed for use on inland river tankers. They have a very easy to read indicator scale that allows clear reading at a long distance. The housing is made of aluminum so that a long life is guaranteed. 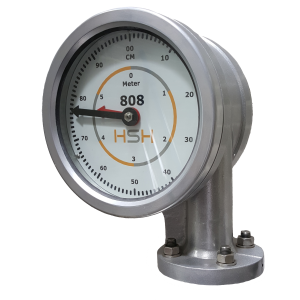 With over 400 gas carriers equipped with our level gauges, reliability is not a question. It has been proven for many years on virtually all types of gas carriers. From small pressurized gas tankers to large LNG carriers.